Because of Trailhead, we were able to carry out the implementation of Einstein Analytics into one of our Salesforce environments in-house without outsourcing the project, therefore reducing the cost of implementation. 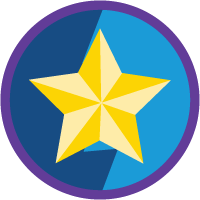 How has Trailhead impacted your learning? I learn best with hands-on experience. It's one thing to read or watch someone do something and another to get your hands dirty and try it yourself. When I first started working with Salesforce, Trailhead was not yet available. I was faced with a huge learning curve and a mountain of documentation. Before Trailhead, the path for learning was not nearly as clear. 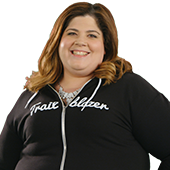 What has kept you coming back to Trailhead? A big part of my job is looking at areas of Salesforce which we don’t currently utilize but that will bring benefits to the business. Trailhead gives me the ability to quickly see features in action before investing too much time in testing them in one of our environments. 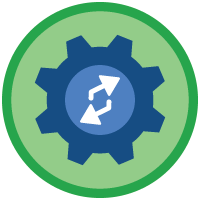 Trailhead has also been invaluable to me whilst studying for certifications and for staying up-to-date through the Release Highlights modules which provide a high-level overview of what is in the latest release. Cost reduction and revenue generation! Because of Trailhead, we were able to carry out the implementation of Einstein Analytics into one of our Salesforce environments in-house without outsourcing the project, therefore reducing the cost of implementation. I had heard of and seen the benefits of the tool in presentations, but Trailhead allowed me to not just get hands-on experience, but also to up-skill myself in a new area. 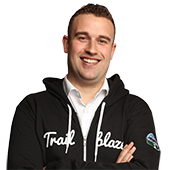 How has Trailhead transformed how Ulster Bank uses Salesforce? Due to a lack of education around Salesforce previously, our front-line team had developed a lot of bad habits and did not use the platform to its full potential. The introduction of Trailhead as our learning tool of choice has really helped us overcome this hurdle. Our users now appreciate the power of the system and what it can do for them which has allowed Salesforce to become embedded into every aspect of their working life. What has been an unexpected benefit of using Trailhead at Ulster Bank? For me, one of the great changes has been that when one of our end users comes to my team with questions on how to create something in Salesforce. We can point the end user in the direction of specific Trailhead projects and modules which they can review on their own time. This has completely eliminated the need to schedule time for tutoring sessions, easing the workload on our team, and freeing us up to work on bringing the latest advancements to our front line. I think the best advice to give to someone who is just starting their career in Salesforce is to “put your hand up” for as many opportunities as you can and don’t be afraid to push yourself. 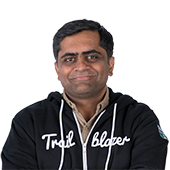 The great thing about Salesforce is that if you find yourself in too deep, between the Trailblazer community and Trailhead, you can find answers to difficult problems. You can almost guarantee that someone else has faced this issue before and found a resolution. What message do you have for companies new to Salesforce? The most important message to get across to companies who are exploring Salesforce for the first time is that it is much more than just a CRM. I have implemented Salesforce for a wide variety of companies, all with different objectives. This has included e-commerce, logging of clinical trials, contract negotiations, as well as your standard CRM and customer support centers. Have a look at what other companies both within and outside your sector are doing and I can guarantee that there are use cases which you had not considered Salesforce for, but it may well be the answer to the problem. I was approached by the Department for the Economy, which is a government body in Northern Ireland, to develop a program to up-skill recent graduates who, despite having a lot to offer, struggled to find full-time roles. The backgrounds ranged from computer science to business and we needed a solution not just aimed at highly technical people. I worked with the department for three months to create a curriculum which would introduce the graduates to Salesforce and allow them to choose their preferred path. 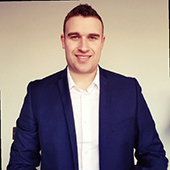 This was a resounding success with 80% of the class finding full-time work in Salesforce shortly after completing the course and many becoming certified in the process. 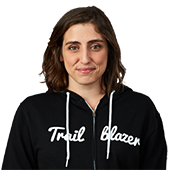 Trailblazers are more than just early adopters. Trailblazers show “the art of the possible” and shape how the platform progresses and improves to the benefit of everyone from small businesses to large enterprise users. I don’t ever see a time that I will stop using Trailhead. 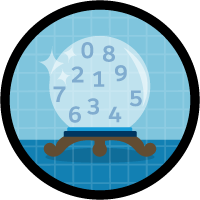 In fact, I think that the more features that Salesforce releases, the more importance Trailhead will hold. We will continue to use Trailhead to not only educate our Salesforce team here at Ulster Bank, but also our Salesforce end users to continue to drive best practices whilst using Salesforce.